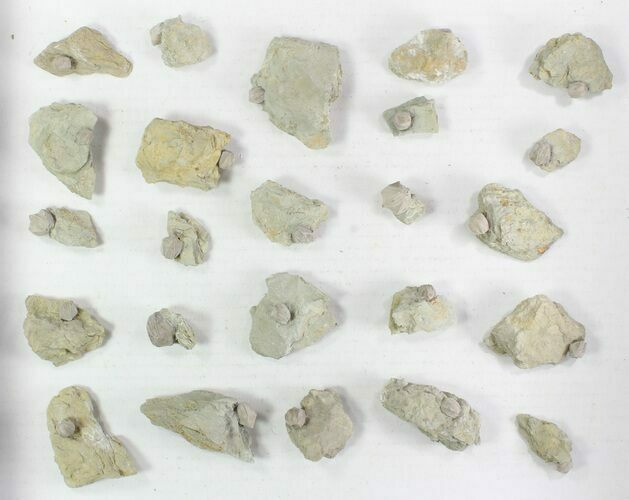 This is a wholesale flat of 24 Pentremites godoni Blastoids.. 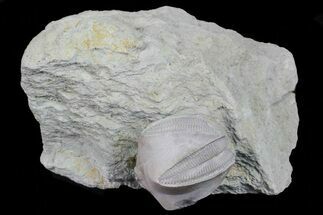 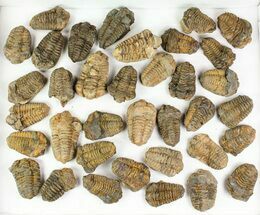 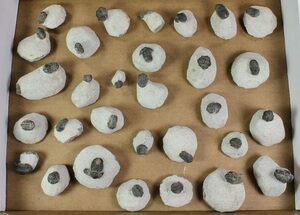 These blastoids are Upper Mississipian in age and were collected in St Clair County, Illinois. 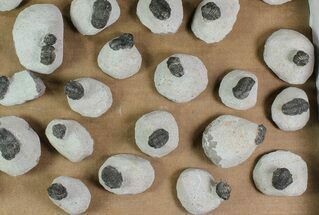 They are all meticulously prepared using air abrasives and still attached to the rock that they were found in. 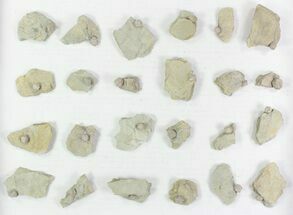 You will receive the exact flat of material pictured. 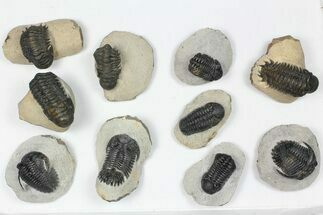 Range in size from .25" long to .75"